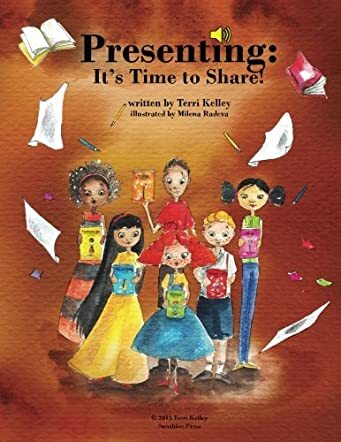 Terri Kelley, M.Ed, is the author of the series of Writing Is a Process books, many other children’s picture books, as well as of the chapter book series, Gingerly. Her passion for writing and reading began when she was a very young girl. She was raised in Copperas Cove, Texas where she grew up in the country with horses and lots of freedom to explore her environment. It was an idyllic childhood that allowed her to use her imagination daily. Terri is the mother of three. Terri raised her kids in Granbury, TX and Tomball, TX. Both of these communities offered excellent schools and a country atmosphere that Terri enjoys. Terri still has ties to both towns as well as treasured friends in both places. As an adult, Terri has held a couple of different careers. After twenty successful years in business-to-business sales, Terri decided to change careers and teach. Her first teaching job was with Cypress-Fairbanks Independent School District in Houston, TX. After a few years there, she became a teacher, a reading specialist, and a gifted and talented specialist in Tomball, TX. It was while she taught that she became aware of the kinds of books children enjoyed reading. She also noticed areas in need of good children’s books. You will find many of her books respond to these needs. Terri is very happily married to her best friend, Michael. Together, they live in Oakridge, OR with their black Labrador, Oliver. Terri and Michael enjoy traveling together, fishing, going to the movies, treasure hunting (at garage sales and thrift stores), and, of course, reading great books. They have many good friends with whom they enjoy spending time as well. at www.terrikelleybooks.com or send an email from the form found there. She will make every effort to reply to your email as soon as she is able. Presenting: It’s Time to Share! is Terri Kelley’s last book in the Writing as a Process series. In this book, Kelley summarizes the whole process, beginning with brainstorming then the rough draft. After the rough draft, the editing occurs; then the writer and others meet to conference and revise the story before the publication finally happens. To learn in-depth tips on the writing process, you can read Kelley’s other books in the series. In this book she talks about presenting. She tells the reader to make sure the book is in its best possible form before presenting it to others. Presenting can take the form of reading the book to others privately or, if you’re lucky enough to snag a writing contract, your publisher will set up reading dates for you. When this occurs, writers should be calm, speak eloquently, and enunciate their words so that the audience can get the full effect of what’s being said. Like Kelley’s other books in the Writing as a Process series, this book is accompanied by illustrations done by Milena Radeva. Radeva saturates each page with color and makes the poems jump out at you. I congratulate Kelley for being able to talk about the writing process in the form of rhyme. It is a process that can be boring for most but Kelley is able to give it some life and make it very interesting. Although I’ve only read three books in this series, as a writer, this seems like a great resource to have in my library. I look forward to more of Kelley’s work.